4 Time-Tested Strategies To Boost Your Bench! The bench press is the standard of strength. If you want to start adding plates, work these four techniques into your plan. A lot has changed in the world of lifting in recent years. But a lot hasn't. And (with all due respect to the squat, the deadlift, and every other awesome movement) for most lifters, the bench press is still the move to master. Lifting a bar loaded with big plates is an image that motivates everyone from the novice lifter to the diehard gym rat. If a higher bench is your goal, you can go chase it with all sorts of complicated plans. But before you do, try these four strategies that have helped thousands of lifters start packing more plates onto the bar. Clusters are when you move a heavier weight a few reps, take a mini-rest, and repeat a couple more times. Forcing your muscles to lift a heavier weight than they normally would, even in cluster sets, overloads the muscle and forces a strength adaptation. Think of it as a power version of rest-pause training. 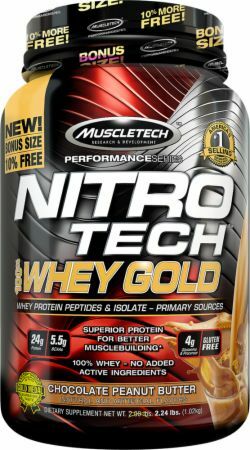 To perform a cluster set, warm up, then load up the bar with a weight that you can move for 4-5 reps. Do 3 reps with it. This is your first "cluster." Rack the weight after the third rep and wait 20-25 seconds. Immediately do another 3 reps, and rest for the same amount of time. Repeat this one or two more times and you're done. Here's why it works: You just performed 9-12 picture-perfect reps with a weight that you would normally move for 4-5 reps—with the last one probably looking pretty shady. That's no joke! And eventually that extra volume will translate to extra strength and a boost in your one-rep max. There's more than one way to make your body lift a weight for more reps than it normally would. Clusters are one, another is forced reps. Forced reps are when you perform the negative (lowering of the bar) and a spotter assists in helping you get the weight back up. Just make sure your spotter only helps with lifting the bar, and doesn't end up doing a bent-over row or power shrug to lift the bar for you as well! Here's the programming overview: Take that weight you normally do for a set of 5, and add 2 forced reps at the end. If you do 2 forced reps per set for 3 sets, that's 6 extra reps. Extra reps mean extra work, greater training volume, and improved strength. Now, before you ask the inevitable question about combining strategies 1 and 2, let me advise you to avoid the temptation to stack your techniques. You don't want to do forced reps on the same day you do clusters. Alternating clusters and forced reps in consecutive heavy workouts can help you reap the benefits of both. Sometimes strength isn't just about how much weight you can move, it's about how fast you can move weight. Lots of powerlifters devote entire training sessions to improving lifting speed by moving a lighter weight in a very specific way. To apply this strategy to your training program, load the bar with 45-55 percent of your one-rep max. Yes, it's light, but that's the point. Lower the weight under control and press it back up as fast as you can. The positive portion of the movement should be a powerful and explosive press. You can do this for doubles, triples, or even 4 reps, but don't do more than that. Rest for 30-45 seconds and repeat. Do this for 6-10 sets depending on the time you have and amount of volume you want in your workout. Again, don't try to stack this strategy. This should be a separate session 3-4 days after your heavy bench workout. 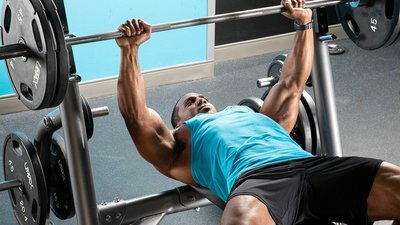 Some people believe incline presses don't translate to the flat bench, and maybe for them that's true. There are many others, however, who will tell you that inclines are a top assistance move for improving flat press power. In your chest workouts, use inclines for a few of your lifts, varying the angle of the incline and alternating barbells and dumbbells from workout to workout. If you hit the flat bench heavy, for example, you can follow it up with higher-rep sets of incline work. Or, you can go heavy on the incline for a few weeks, and use the flat bench like a higher-rep assistance movement afterward. Whatever approach you use, incorporating different angles and implements is a great sneaky way to surprise yourself next time you max out on flat bench.